PHP has been always considered the core of web development, and we should not underestimate its power. However, we should also admit that for the last decade the language started suffering from a sufficient lack of speed and general quality of performance due to fast-growing needs of global Internet community. 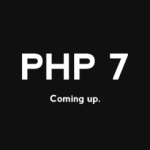 Eventually, those who experienced the greatest consequences of this change came up with various ideas on how to improve the work of native PHP functionality by introducing the language based alternative implementations. We propose you to look at the most promising PHP based alternatives that will give your web apps a powerful boost and reduce overall server load at least twofold. One of the most popular PHP based engines is HipHop Virtual Machine or simply HHVM. This is an effective open-source virtual machine that deals with just-in-time (JIT) compilation which is basically a compilation done simultaneously with a program execution rather than prior to it. HHVM was originally introduced by Facebook as an execution engine aimed at enhancing the performance of Hack and PHP programs. HHVM has evolved from the HipHop for PHP execution engine that was also developed by Facebook and performed PHP-to-C++ compilation. However, HPHPc had a range of problems, such as the low level of overall performance, insufficient support of the main PHP features, and huge time and resource consumption. 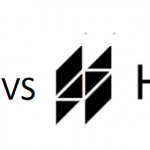 As a result, it was decided in 2013 to switch to the modified HHVM. JIT compilation used in HHVM is a form of dynamic compilation which allows faster program execution than static compilation. Thus, a PHP or Hack written code is first transformed into intermediate HipHop bytecode and then translated to a modified machine code that can be executed in its native environment. Unlike the traditional PHP interpretation method, JIT compilation does not provide code interpretation directly to C++ static binary, which creates opportunities for diverse code optimization leading to faster execution speed and minimum response time from the given server. 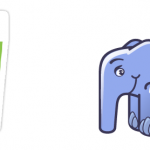 ReactPHP can be used together with all kinds of third-party libraries to boost the performance of apps written in PHP. Basically, ReactPHP is not the first asynchronous web engine, as its developers were largely inspired by such platforms as Node.js (V8), Twisted (Python) and EventMachine (Ruby) which have been doing the same job in corresponding languages for a long time now. However, its existence allows us to get rid of native PHP issues, such as those connected with the need to free the memory at the end of every HTTP request to be able to reuse it for the next one. As a result, you get ten times more requests processed per second than if you kept on using native PHP engine. – Streams, representing basic I/O source, mainly ReadableStream and WriteableStream, They are responsible for combining large values into a unified stack. – Promises, representing computational results. They can be easily composed and dealt with thus allowing you to handle multiple error cases. Unlike streams, promises work with single values. React in Action – 03 gifsocket from igorw on Vimeo. 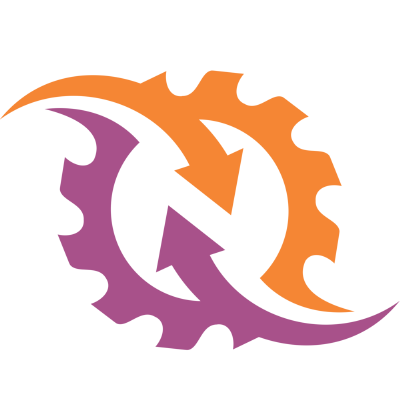 Ratchet is another event-driven library for PHP programming which utilizes WebSockets at a core of its functional. Thanks to this technology, you can create bi-directional, real-time applications while keeping constant connection between clients and servers. You can thus get flawless client-server interaction at any given period. The more important thing, though, is that WebSockets enable an application to communicate with an unlimited amount of connections at the same time. Although WebSockets are supported by almost all of the existing browsers, there is still an issue with running full stack servers for providing in-time response. That’s when Ratchet comes at hand. The library has a component architecture, which means that you can remove or add any of its components based on your specific needs. Each component implements a separate version of ComponentInterface to build up a full scale stack. So, when an application is running, each component becomes instantiated and then goes to an event loop where I/O assigns it on top of it. As a result, we have a smooth event processing, as I/O distributes each event among the classes attached to it. The library passes all major tests for compatibility with the supported browsers, so you can be sure not to get stuck with a bunch of unpleasant errors. JPHP is a project of a single developer whose main goal was to integrate Java libraries in PHP and at the same time boost its overall performance by using JIT compilation. This new PHP solution uses Java VM to compile PHP code into intermediate bytecode to further make it run in the native Java environment. 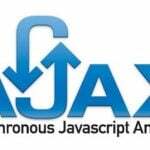 Apart from the main core module, this implementation has a set of additional extensions including mail, swing, webserver, xml, jsoup, and many more. 6. Ability to use processed PHP codes not only for web development but also for creating GUI-based applications for desktop as well as for mobile operating systems (including Android).